Planning your big vacation across Europe? 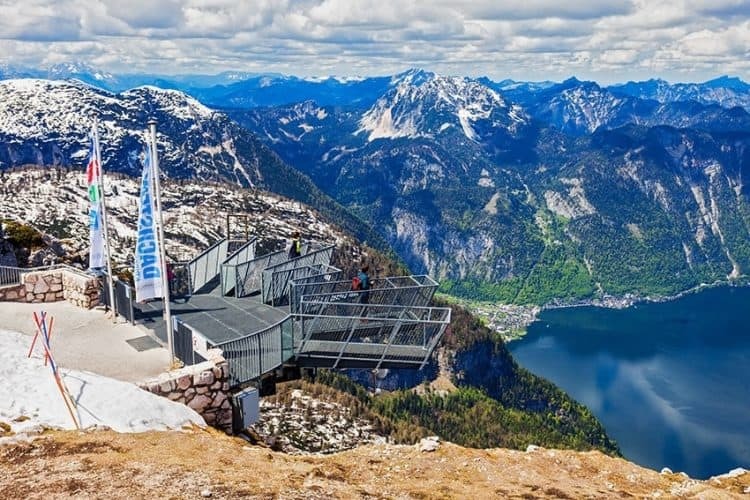 Well, the sensational Dachstein Ice Caves and the amazing 5 Fingers Viewing Platform in the Dachstein Mountains near the historic town of Hallstatt in Austria are definitely the places to visit while you're at it. There aren't too many places in the world which offer you the opportunity to experience the beauty of a mega-sized ice cave, and the Hallstatt Ice Caves is only one of the few. Located on the Krippenstein Peak of the Alps' on the Dachstein Mountain Range, the Dachstein Ice Caves are among the greatest natural wonders of the Earth. It is often described as an “Ice Palace” and offers one of the most breathtaking experiences you can have as a traveller. Vast icebergs, massive glaciers, and frozen cascades of sapphire-colored ice are a few of the sights you can expect to catch a glimpse of as you explore through the ancient ice cave near Hallstatt. 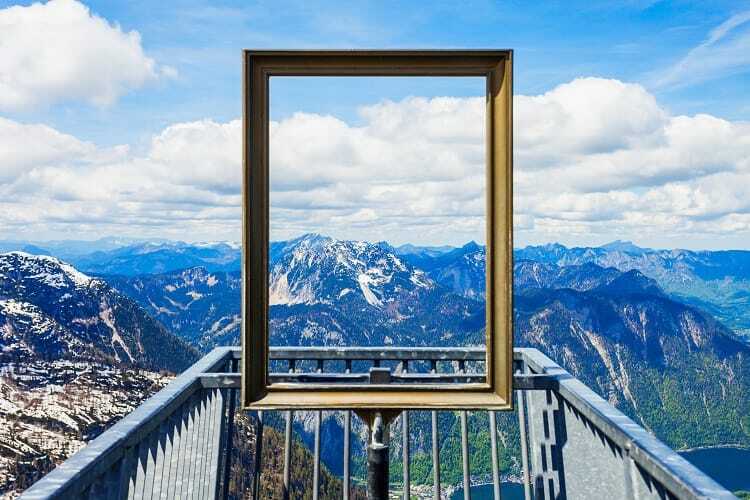 If that's not enough, the 5 Finger Lookout near Hallstatt will let you hover high above the clouds and offer you the view of a lifetime! 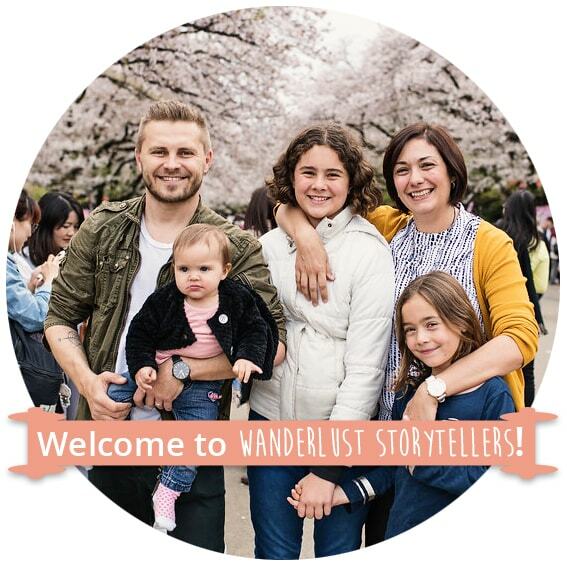 So, if we have managed to spark an interest in you, here's a little guide that will help you get the best out of your journey! The Dachstein Ice Caves are one of the largest ice caves in the world, extending around 50 kilometers deep into the Dachstein Mountain Range. The first section of this cave was discovered way back in 1910, and it became a tourist attraction only a couple of years later. The Cable Car Service was opened in 1951 before which the only way to reach the caves involved extreme mountain hiking and even rock climbing. 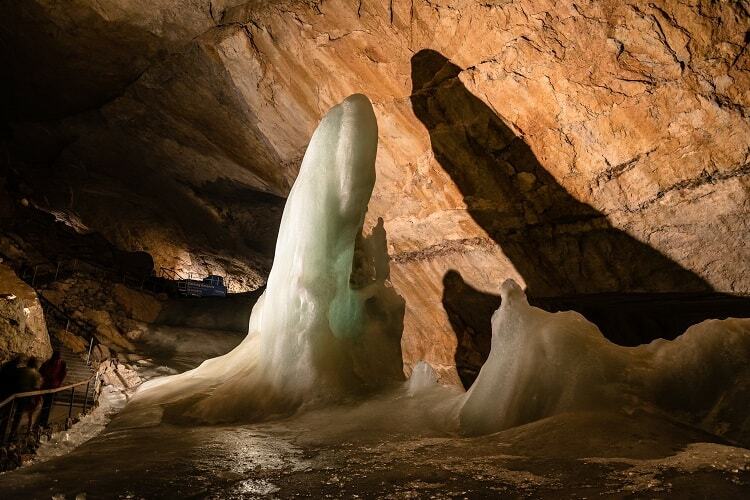 The stunning labyrinths of the Dachstein Ice Caves almost appear as an enchanted “Palace of Ice.” There are very few places on Earth where you can experience such stunning natural beauty, granting it the title of a UNESCO World Heritage Site. 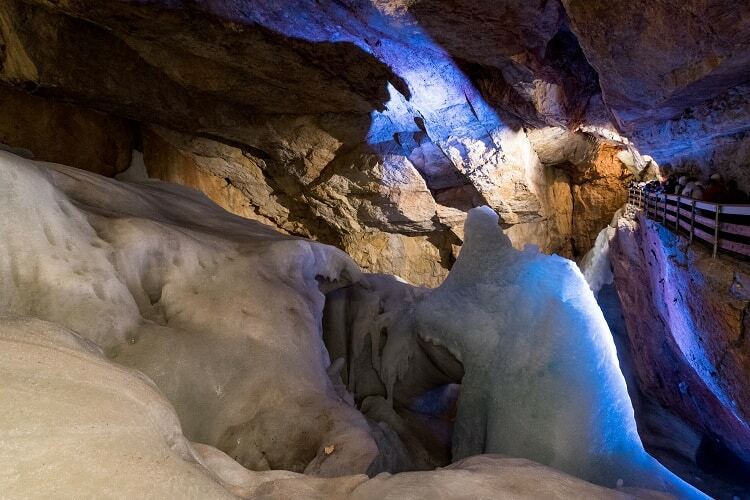 As you reach the entrance of the cave, you can join a guided tour which will take you deep into the enchanting ice cave. The expert guides will fill you in on the complete story of how these caves were formed and provide all kinds of interesting facts and info about the place. A little further into the caves, there lies a huge cavern referred to as the St. Arthur's dome. There you will see huge rocks, and hear stories about the archaeological findings of the place. Some of the key areas inside the caves include the Ice Palace, the Parsifal Dome, the Big Ice Mountain and the Castle of the Holy Grail. As you exit the cave, you can head on to the 5 Finger Lookout which offers spectacular views of the entire mountain range! The 5 Finger viewing platform is situated at the top of the mountain and getting there involves catching a second cable car, which you can easily avail near the exit of the Ice Caves. 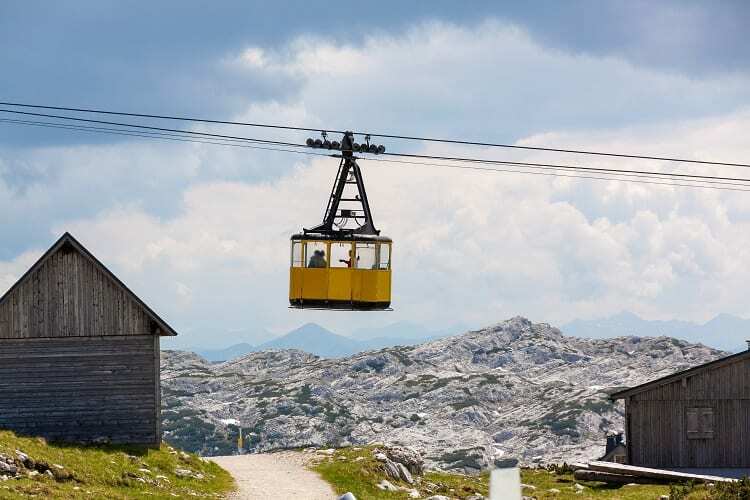 The Dachstein Cable Cars depart every 15 minutes, and it takes only about 5 minutes to reach the lookout. The Five Fingers viewing platform is basically a viewing platform located at an altitude of 2108 meters above sea level. 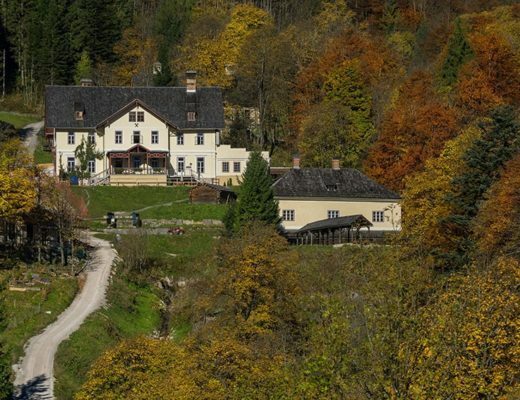 It offers a breathtaking view of the Alps, looking over the entire Lake Hallstatt and the Krippenstein Mountain Range. The platform is shaped like a 5-fingered human palm with a 1300 feet vertical drop right below it. Standing on the platform and looking around will most definitely give you an adrenaline rush. 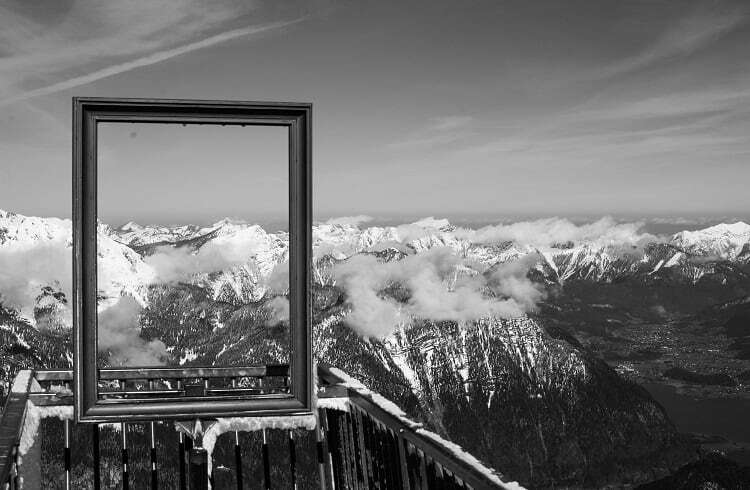 Where are the Dachstein Ice Caves and the 5 Finger Viewing Platform? The Ice Caves and the 5 Finger Lookout are located about a 30-minute drive South-East from Hallstatt at Krippenstein, 4831 Obertraun, Austria. 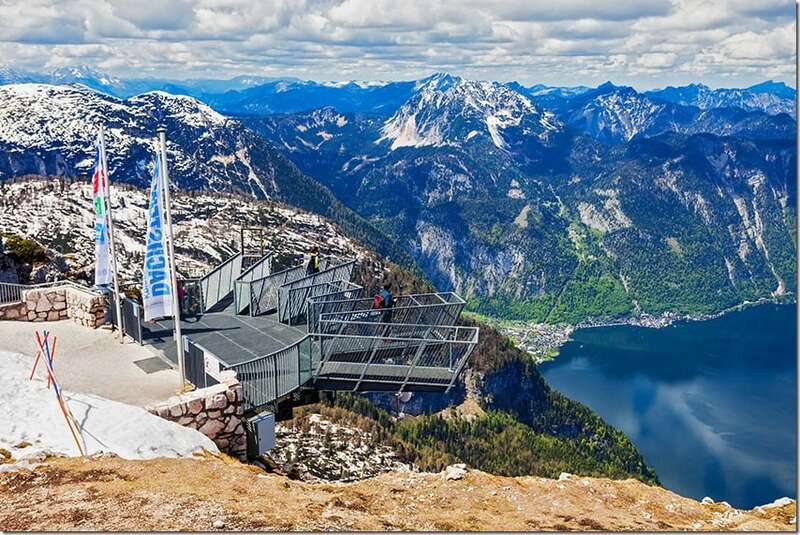 How to reach the Dachstein Ice Caves and the 5 Finger Lookout? There are a number of ways to get to your final destination. You can either take a bus, catch a train or pre-book your taxi. In our case, however, we had a rental car, and I think that this was the best way of getting there. 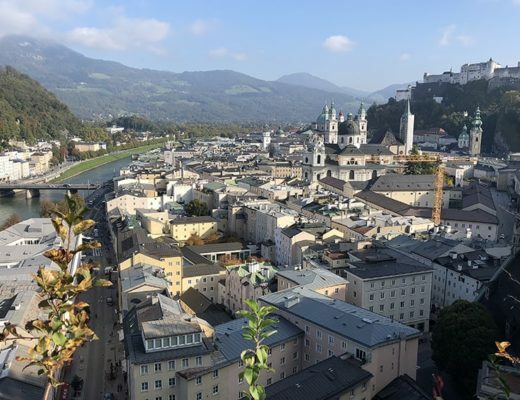 Here is some info for if you are not travelling in Austria by car. The easiest way to reach the Dachstein Ice Cave and its nearby attractions are to catch a bus to the village of Obertraun Dachsteinseilbahn. The best way to reach Obertraun is to catch the Postbus 543 from Hallstatt Lahn, which is on the southern side of the village. The bus fare is around 2 Euros, and tickets must be purchased while boarding the bus. The bus 543 can easily be caught from Hallstatt Lahn between 8am-5pm, and there's a bus leaving every one-and-a-half hours. It takes around 30 minutes to reach Obertraun from Hallstatt, and it is also the last stop of the ride. So, you don't have to worry about missing your stop. 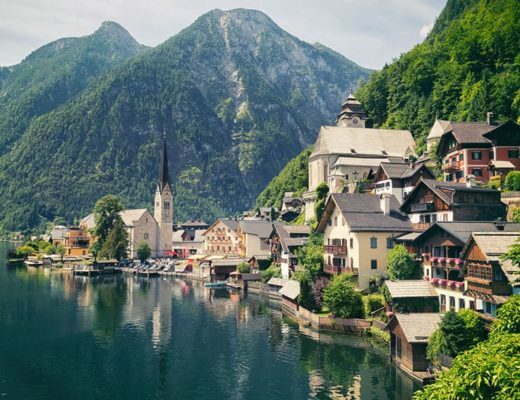 Alternatively, if you are planning on arriving in Hallstatt on a train, you are better off staying on till the Obertraun Train Station and then catching the Postbus 543 on the way up the mountain. Taxis in the area are almost non-existent, so you're better off booking one in advance if you plan on reaching Obertraun by Taxi. 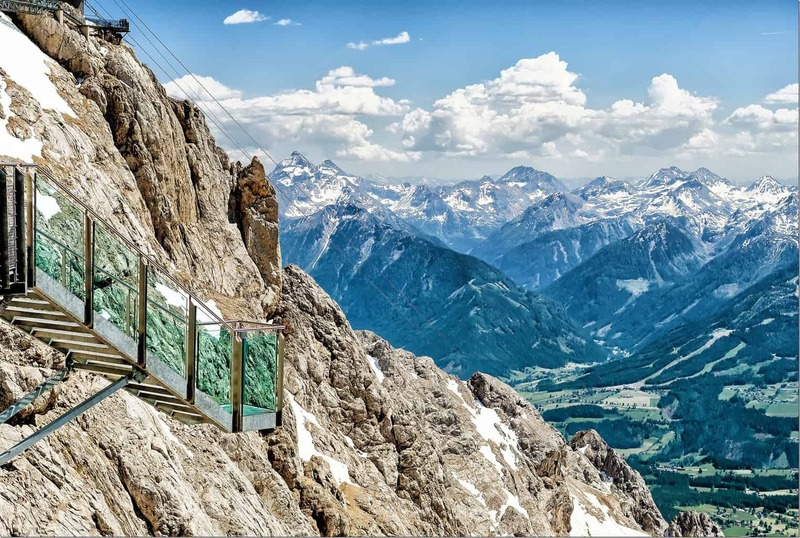 Once you reach the village of Obertraun, the Dachstein Cable Car will take you to the Dachstein Caves and the 5 Fingers Viewing Platform Obertraun. 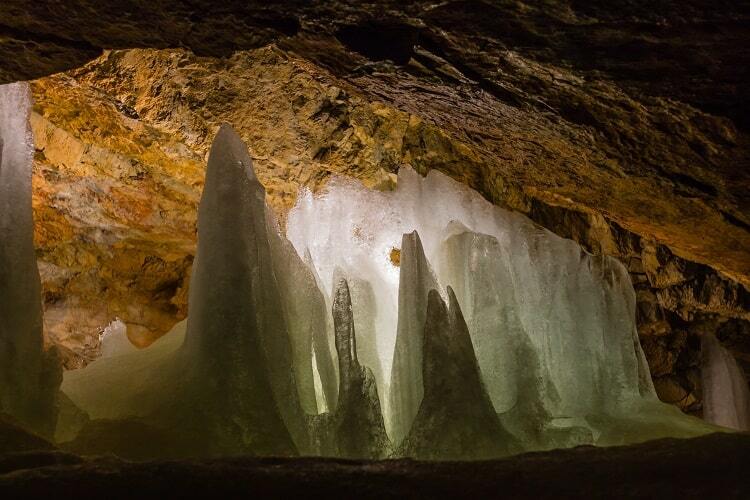 The absolute best time to visit the Dachstein Ice Caves and 5 Finger Lookout would be between May to October. The Cave remains closed for the general public in the winter months between late-October to April. High snow levels often force authorities to close the 5 Finger Lookout as well, but can still be reached if you're wearing snowshoes and other proper mountain gear. As for the summer months, the Dachstein Ice Caves remain open between 9:20 AM and 3:30 PM with a slight variation in the timing depending on weather conditions. Since the caves are located at an elevation of 1,455 meters, you have to depend on the Cable Car to reach it. The Cable Car timings vary but usually has its last descent around 5 PM. A great time to visit the Ice Caves of Dachstein would be in August when unique events and concerts are held at the Parsifal Dome inside the cave. 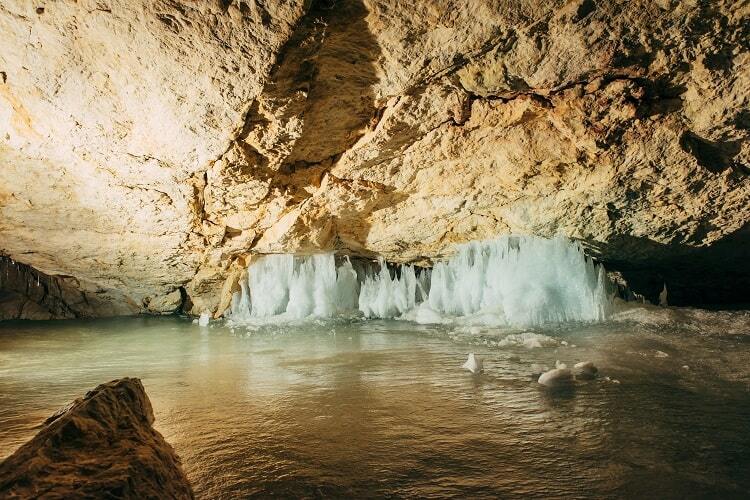 If you're planning a trip across Europe, then the Dachstein Ice Cave in Austria is definitely worth a visit. Not only are the Ice Caves stunningly beautiful, but the entire town of Hallstatt and the surrounding regions let you experience some mesmerizingly beautiful landscapes, the likes of which you'd not find anywhere else in the world. When are you planning to visit the amazing Ice Caves and the 5 Fingers Lookout? If you already been, please share your experience with us in the comments below.